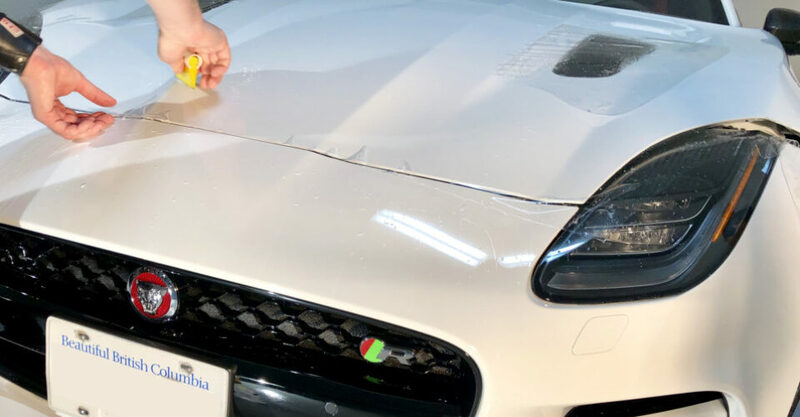 Home » Can You Apply Ceramic Coating Over Clear Bra Paint Protection Film? 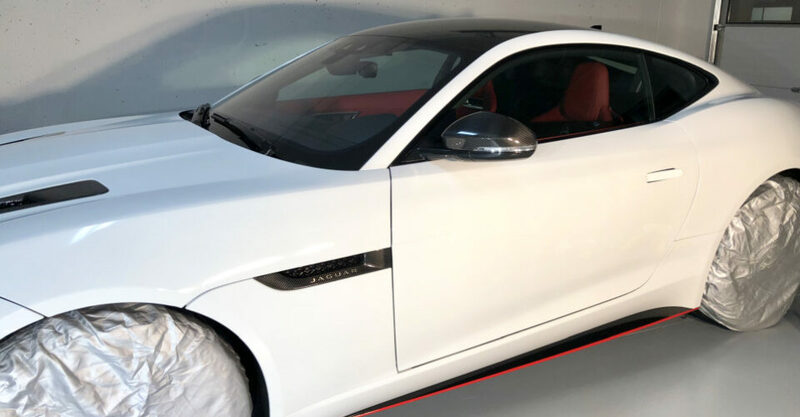 Home > Ceramic Coating > Can You Apply Ceramic Coating Over Clear Bra Paint Protection Film? 05 Feb Can You Apply Ceramic Coating Over Clear Bra Paint Protection Film? Our detailing clients frequently ask us whether we can apply ceramic coating over clear bra. The answer is “Yes”. 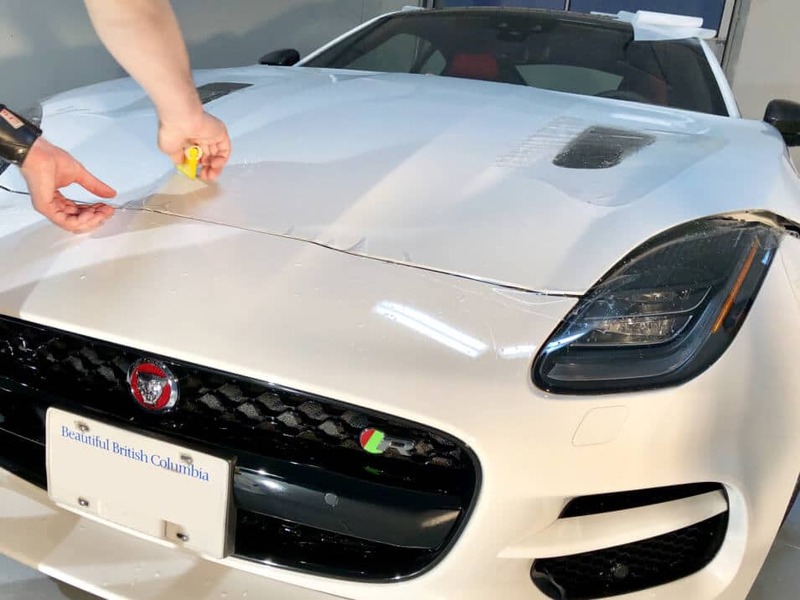 Our Vancouver paint protection film specialists have extensive experience working with clear bra PPF and ceramic coating applications. 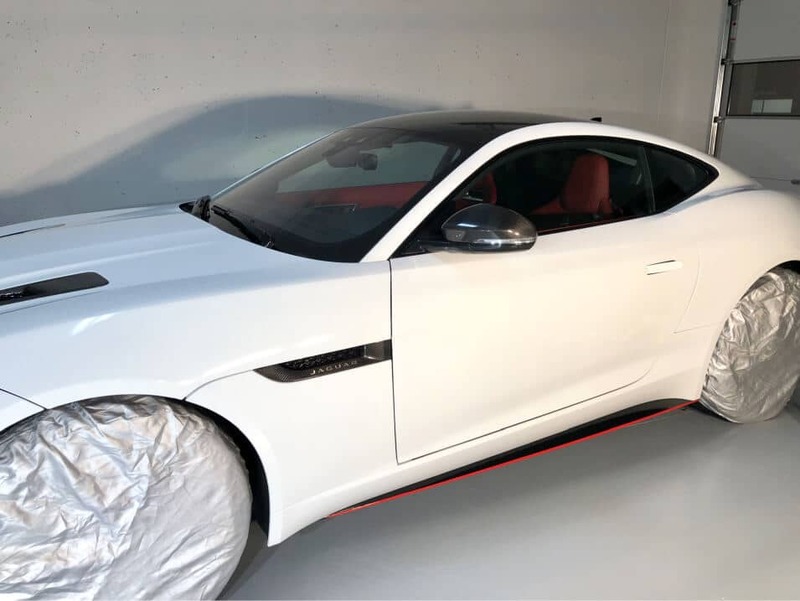 While we can’t tell you that all ceramic coatings can be applied over clear bra, the makers of Opti Coat have stated that it is safe to do so when using their coating product. By combining coating and PPF, you up the paint protection and “Wow!” factors quite dramatically. You may be wondering why the application isn’t done the other way around (clear bra over ceramic coating). If clear bra is placed on top of ceramic coating, you won’t get the hydrophobic properties of the coating and drastically diminish its reflective properties. There is also a concern that the clear bra adhesive won’t properly adhere to the super slick surface of the ceramic coating. By applying ceramic coating on top of clear bra, the effectiveness of both products remains fully intact. While there is some crossover in the paint protection you get from clear bra and ceramic coating, they do have different qualities. Both ceramic coating and clear bra products prevent chemical staining, acid etching, hard water spots, swirl marks and spider webbing (fine radial scratches from washing, hand drying or buffing), oxidation and fading. Clear bra also prevents paint chips, resists scratches, and is self-healing. Ceramic coating has superior hydrophobic properties and leaves a mirror-like ultra-gloss finish that cannot be achieved with clear bra alone. Ceramic coating does not prevent rock chips as some sellers claim. 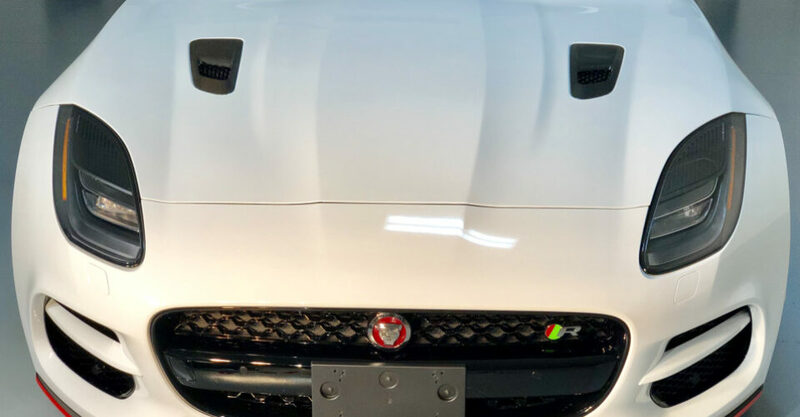 You want to double the protection from everyday contaminants, swirl marks and oxidation, rock chip protection from clear bra, and, the hydrophobic properties and gleaming finish of ceramic coating. You already have clear bra installed on your car but want to increase the hydrophobic properties and glossiness. You have partial clear bra (front only for instance) and don’t want to PPF your entire vehicle. 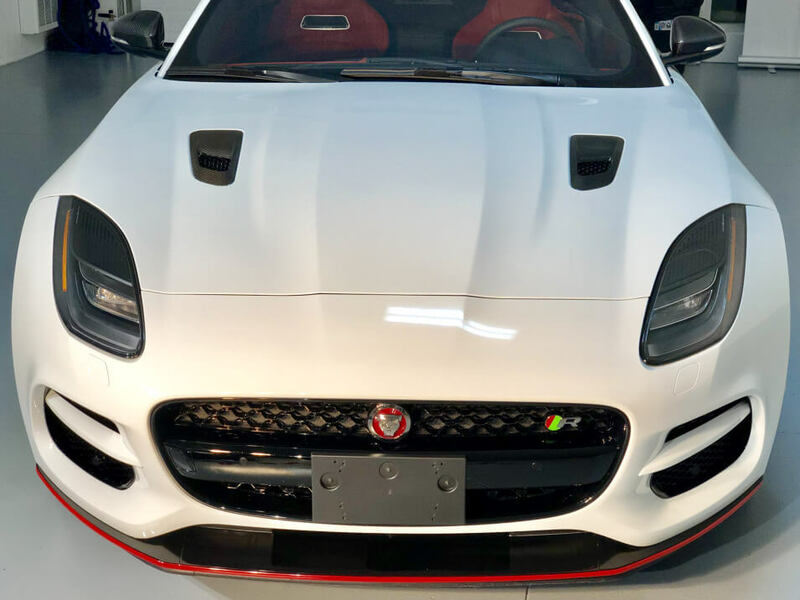 You can add ceramic coating over top, which will increase the protection of the front end, while providing excellent protection for the rest of the car. 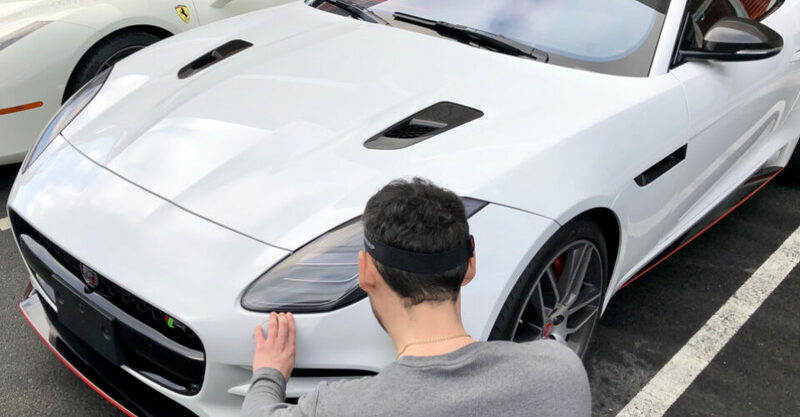 The entire vehicle will be hydrophobic and extremely glossy. Hand wash and allow to dry. 1 or 2 cuts of compound depending on the extent and depth of surface damage and the thickness of the existing factory coating. Clean and dry the surface ensuring it is free of debris and dust. Apply clear bra and allow to set for 48 hours. Wipe down the clear bra of any dust. Apply ceramic coating and allow to cure for 2 weeks before washing. Hand wash and dry the vehicle finish. 1 or 2 cuts of compound for the unprotected surface as required. Reclean and dry the surface ensuring it is free of debris and dust. Apply ceramic coating over the entire vehicle, including the clear bra. Allow the ceramic coating to cure for 2 weeks before washing. 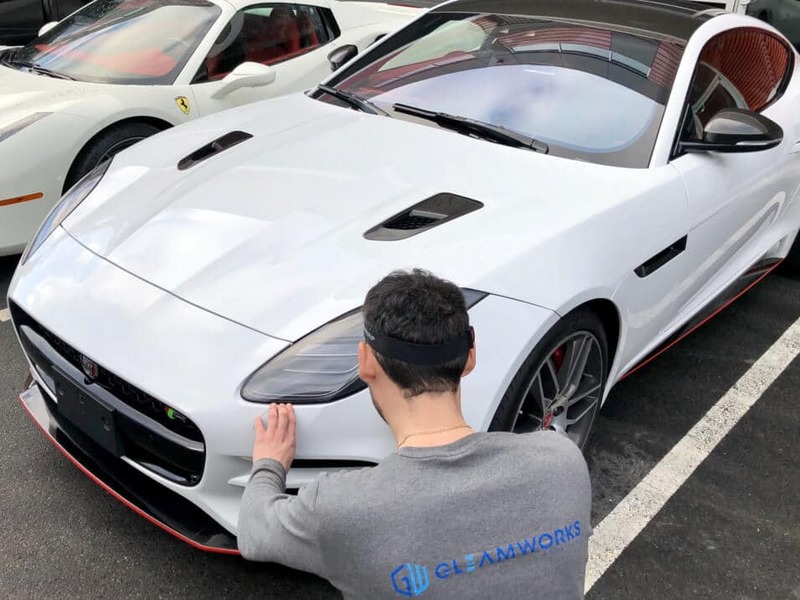 If you’d like Gleamworks to apply ceramic coating over clear bra PPF, contact Vancouver’s Gleamworks and book an appointment for a free assessment and estimate. We’ll discuss the options and answer your questions.